Is this an unevenly distributed load? Concentrated load? Line load? Point load? Load of something really heavy? We have stressed this before: rack loads aren’t just simple weight vs. structure. The dimensions, shape, and size/density of the load as it sits on storage racks is absolutely critical to safe, effective warehouse storage. Our friends at Nashville Wire recently released an excellent piece that helps define the load types and how you can avoid incorrect or unsafe rack loading. We’ve posted a new white paper in our growing library of free material handling, logistics, safety, and manufacturing information resources. 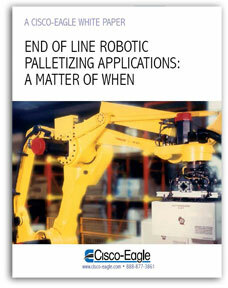 This paper focuses on the proliferation of end of line robotic palletizing, its growing benefits, methods, and more. If you are palletizing at the end of a production line, this is a must-read. 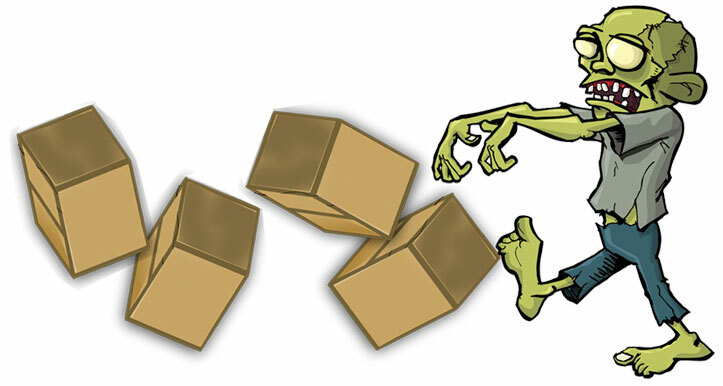 Studies indicate that order pickers spend too much time walking – according to many studies, distribution center employees routinely spend more than half their day walking, not picking orders, packing orders, or replenishing stock. They’re going from point to point, burning man hours getting where they need to be, not working. And that’s the average — for really poorly designed operations, it’s worse. As they tire, workers pick slower, pick less accurately, and work more dangerously — almost a zombie like situation! Every bad thing that can happen in a warehouse operation is amplified, the more time employees spend walking. Check out our most recent Info-graphic, “Walking is the Walking Death of Order Picking Productivity” for more information on ways you can combat this issue.